I have attended two of the previous events organised by Tom & Stu and they were both well run and great fun. This one has a slightly different theme as it is a Loyalist versus Traitors team doubles event using the ‘Centurion’ format promoted by the Eye of Horus podcast. Essentially, the idea is to focus on small point infantry games with only a few dreadnoughts or light vehicles each side in a style reminiscent of 2nd edition Rogue Trader Warhammer 40k. The plastic Calth set Contemptor is a bit dull & static looking, but I chopped the legs & torso to reposition it slightly to make it a little bit more dynamic. The angle of the pic above does make it look a little awkward, but it does look better in RL – regardless it will have to do at the moment as I have no spare hobby funds to buy a new Forgeworld resin one for now! 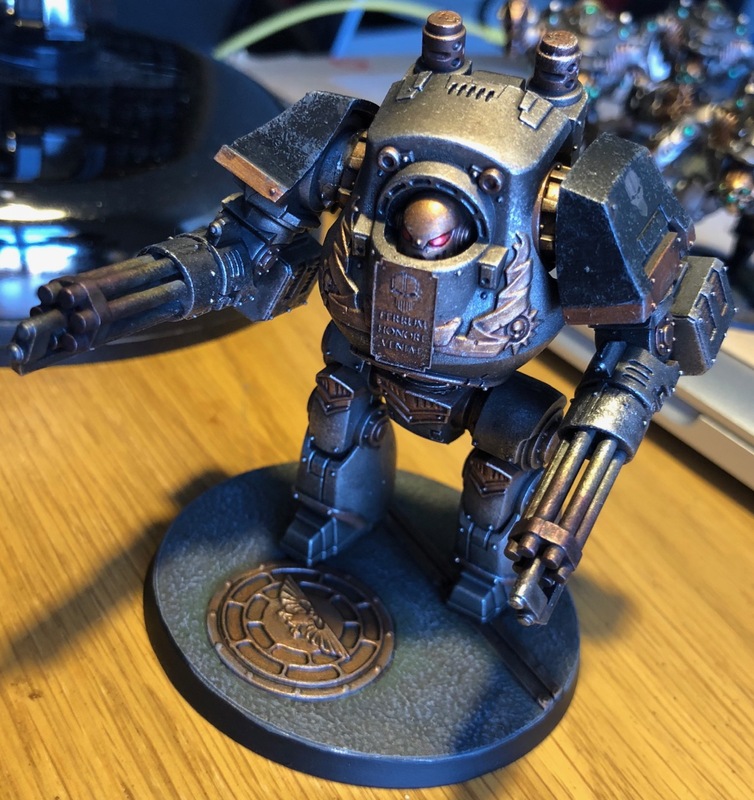 This entry was posted in Horus Heresy 30k and tagged Contemptor, Iron Warriors, Tarsiss. Bookmark the permalink.